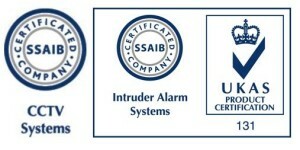 iTech Security Ltd are SSAIB accredited which gives you the confidence in knowing that we are competent and professional installers of burglar alarm and CCTV systems. All equipment & maintenance is in accordance with the relevant British and/or European standards and/or Codes of Practice. That we have access to the relevant standards. We have sufficient installed and/or monitored systems available for audit. That we have suitable premises, equipment, vehicles and other relevant resources. Competent management and steps are in place. Security screening is carried out for all relevant staff. Relevant insurance cover is in place. We follow appropriate business practices and have adequate financial resources. We follow acceptable sales techniques. Staff are fully trained and we implement appropriate training procedures.